Qhobosheane grade six and seven learners creatively celebrating their teachers at the Adopt-a-School Big Books event at their school this morning. In celebration of Teacher’s Day on 05 October next week, Adopt-a-School Foundation hosted a teacher-themed Big Books event at Qhobosheane Primary School in Diepkloof, Johannesburg today. This was the first of five such events aimed at developing reading, writing and creative skills in learners across South Africa. Grade six and seven learners excitedly coloured, collaged and completed activities using Croxley-sponsored stationery at the event. 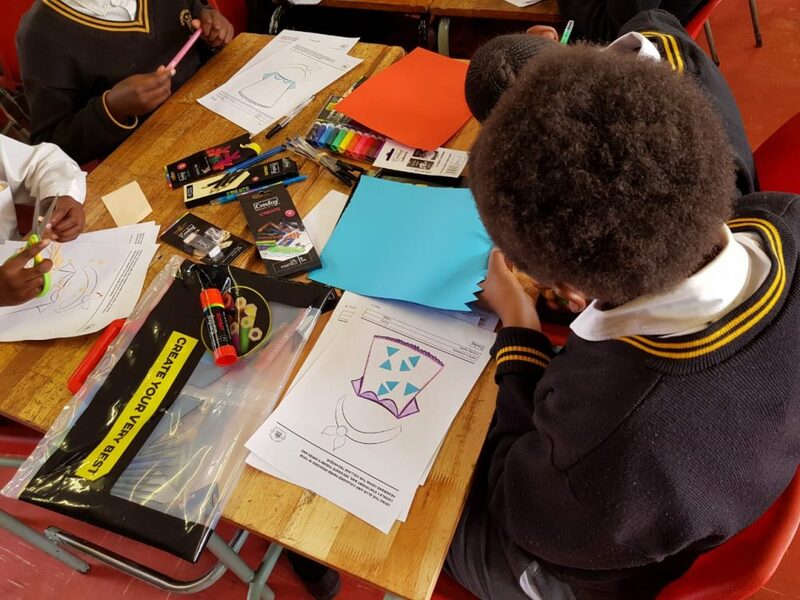 The learners unleashed their creativity in the hopes of having their work added to a children’s book called Thembi Discovers the Magic of Teaching. Participants competed to win a cash prize for their writing and a party for the most creative class. “Teachers are arguably the most important factor in a learner’s education. Unfortunately, South Africa is facing a shortage of qualified teachers,” says Banyana Mohajane, head of programmes at Adopt-a-School Foundation. 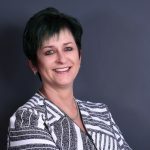 “This, amongst other factors, is a key contributor to poor education outcomes and can be linked to South Africa’s recent global ranking as one of the worst in the world for a reading literacy study**,” she continues. “The sad reality it that impoverished areas suffer most from teacher shortages, which leads to overcrowding, as one teacher is often tasked with the instruction of more than one class at a time. This, in turn, contributes to an achievement gap that disadvantaged learners may never hope to cross,” says Mohajane. “To help bridge this gap, we employ a unique Whole School Development (WSD) approach to school development. This involves holistically improving the school by focussing on the academic, infrastructural, social, and security environment in which a school operates,” she continues. Since its inception in 2002, Adopt-a-School has focussed on upskilling their 2 335 educators, through the provision of workshops, tools, assessment and guidance. The intention is that this leads to national improvements in reading, writing and arithmetic results. The success of these interventions are clear, with an overall improvement of 8.4 percentage points in all Adopt-a-School’s Matric pass rates over the last seven years. “By upskilling, motivating and supporting teachers, we are ensuring a prosperous future for our learners and taking pressure off an already over-capacitated system,” concludes Mohajane.